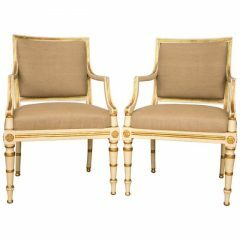 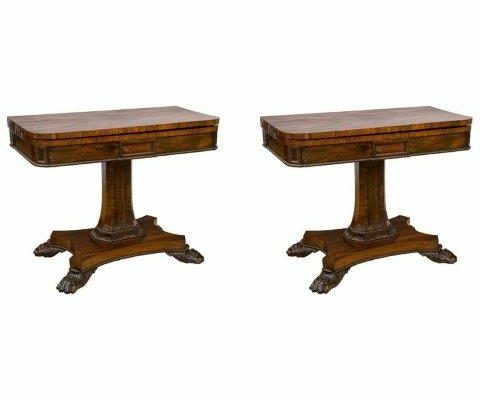 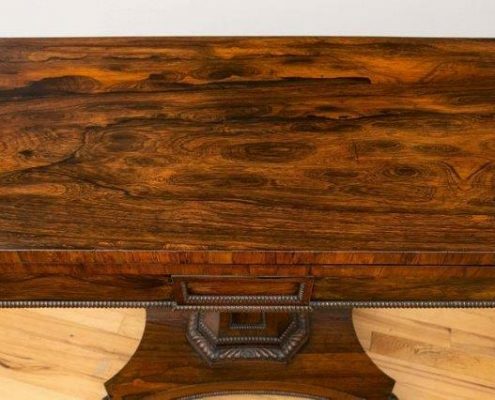 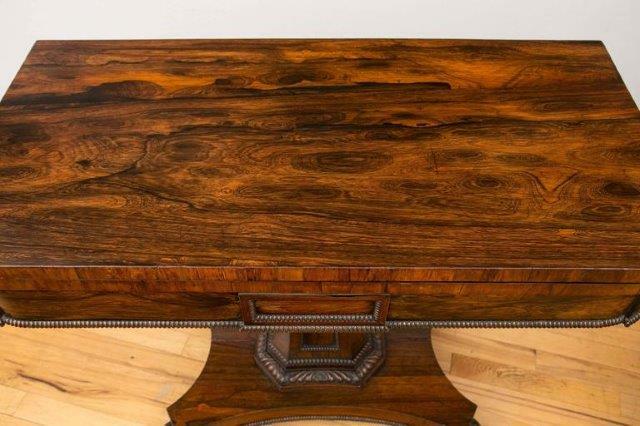 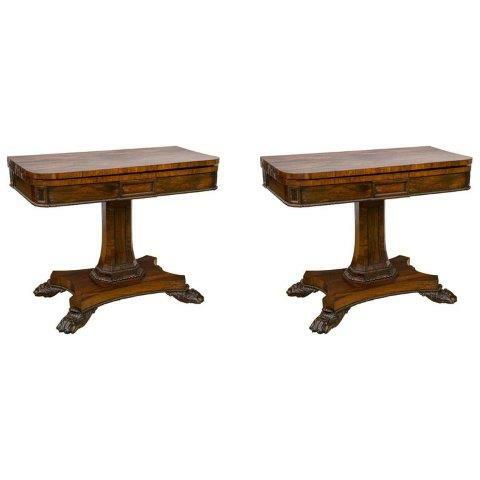 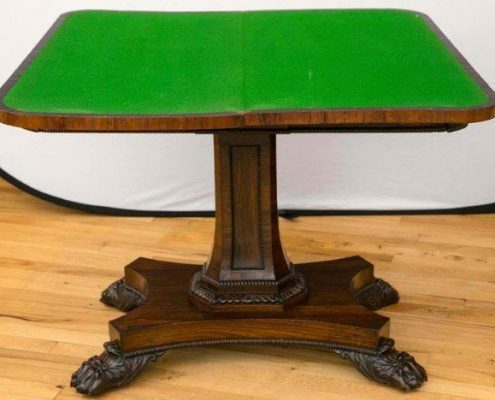 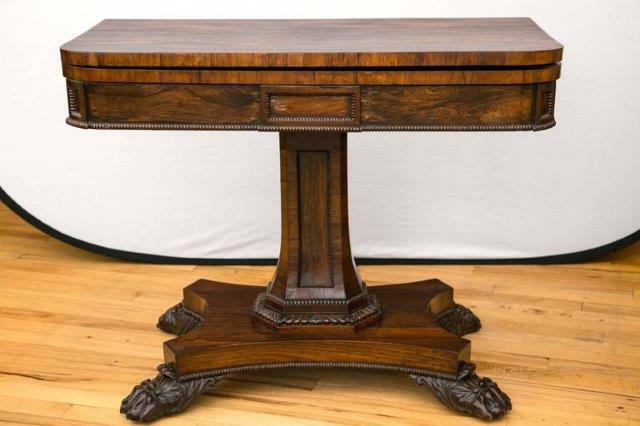 A pair of English rosewood game card tables. 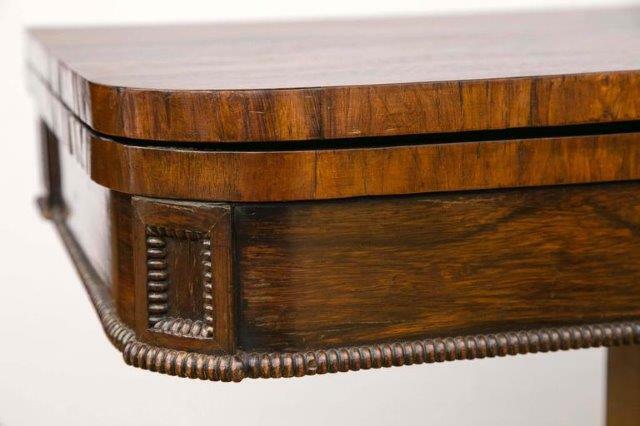 The curved front corners include both the folding top and the apron to make a seamless band. 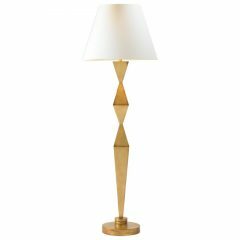 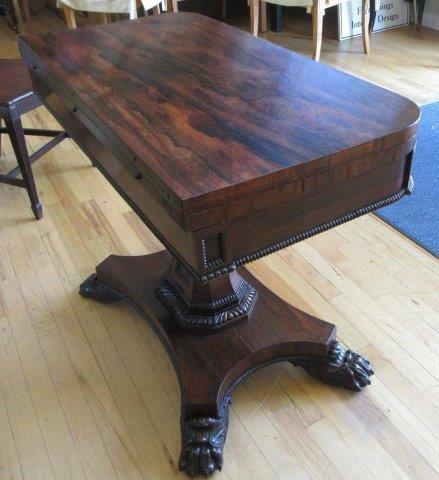 The table top is made to fold open and slide or swivel before resting flat. 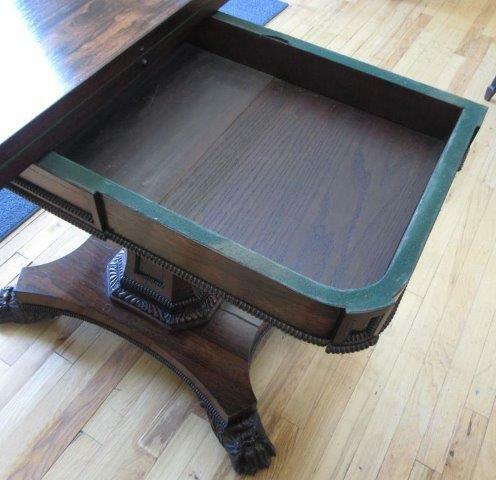 When the game table top is partially open the recessed storage space for game pieces or cards is revealed. 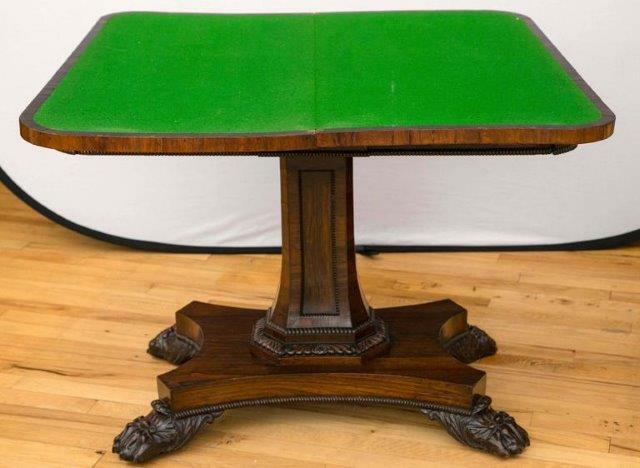 The playing surface is finished in green felt. 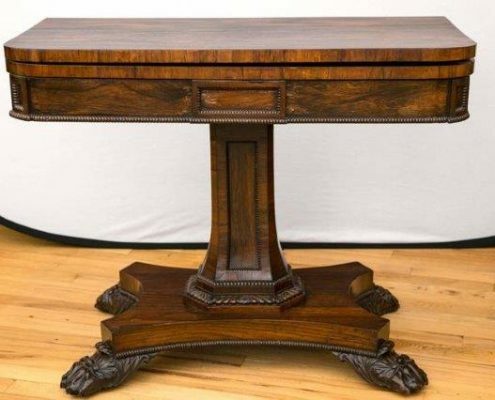 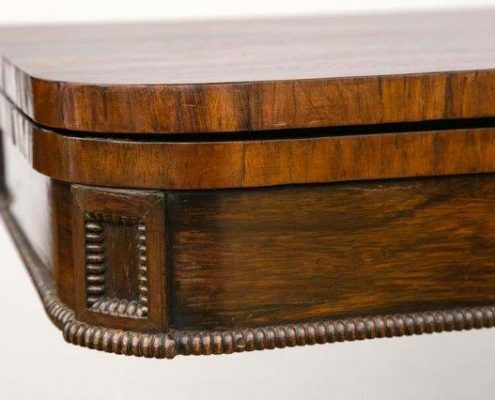 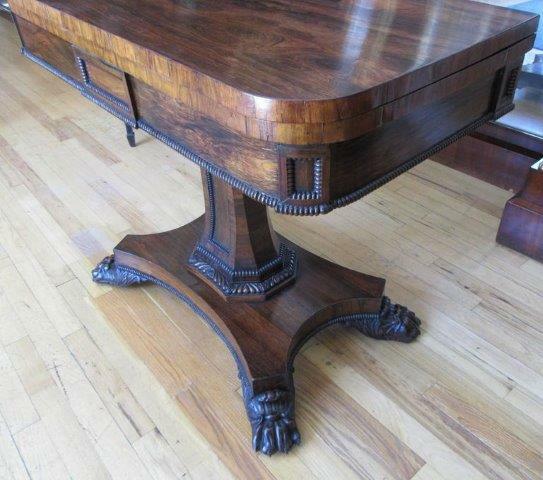 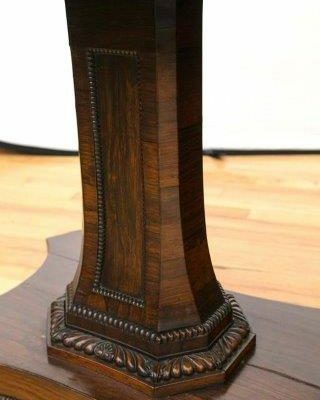 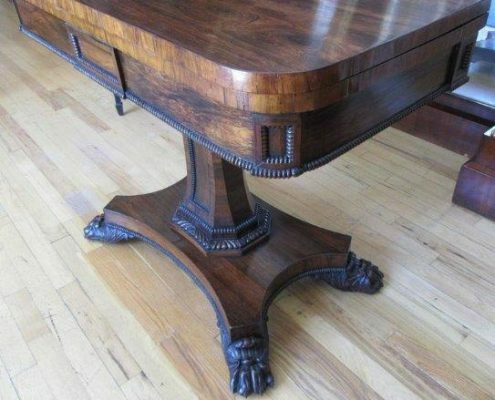 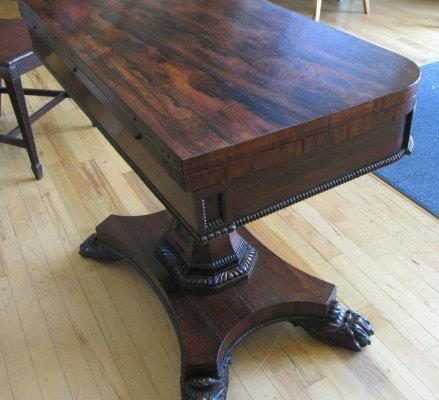 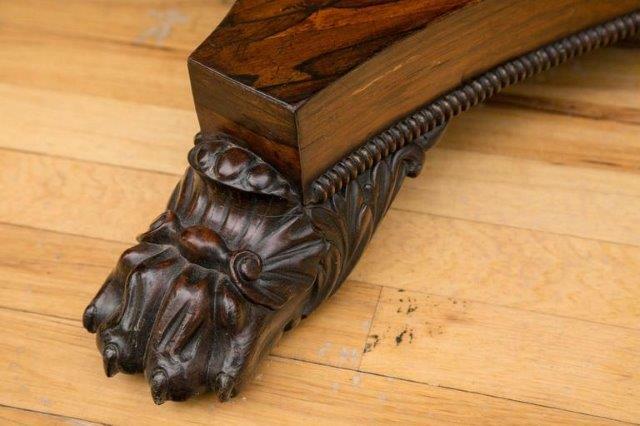 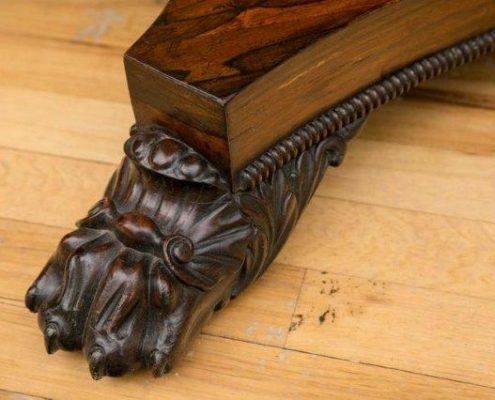 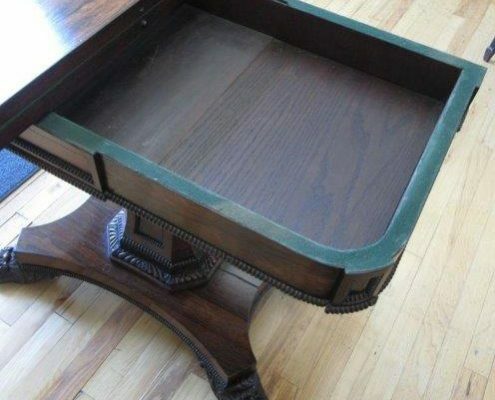 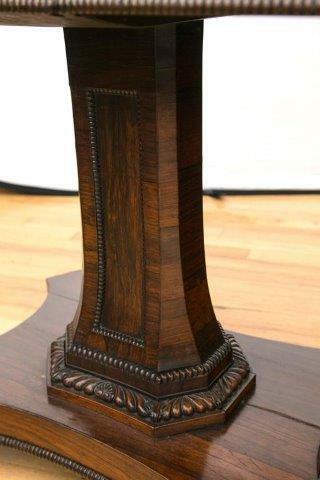 The four feet are carved with a lion paw and each retain their brass caster so the table may be easily moved.